Flag of the União do Vegetal | Photo: Bento Viana. While a rubber tapper in the Amazon Rainforest, on the border of Brazil and Bolivia, José Gabriel da Costa created the União do Vegetal on July 22nd, 1961. 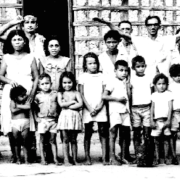 In January 1965, Mestre Gabriel moved to Porto Velho (RO) with his family, to continue the organization of the religion, with the help of his wife, Raimunda Ferreira da Costa (Mestre Pequenina) and a few disciples. With the arrival of more people, he created the Cadre of Mestres, the Body of Council, and the Instructive Body. 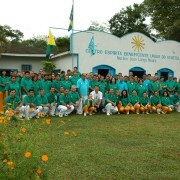 In 1968, the Beneficent Association União do Vegetal was created, and in 1971, with its first General Headquarter in Porto Velho, took the current name: Beneficent Spiritist Center União do Vegetal. In September of 1971, the disincarnating of Mestre Gabriel takes place, but the growth of the UDV is maintained with firmness and secure manner, under the guidance of the first Mestres formed by him. In 1982, the General Headquarters was transferred to Brasilia (DF). In 1967, Mestre Florêncio Siqueira de Carvalho (Mestre Florêncio), one of the first mestres formed in the UDV, was authorized to distribute the Hoasca tea in Manaus (AM). “From Manaus the União do Vegetal will circulate the world,” said Mestre Gabriel. 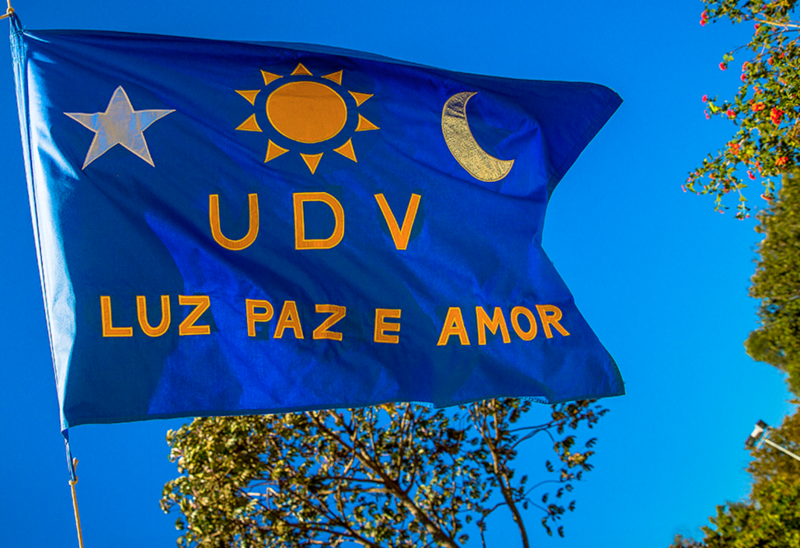 On November 1st, 1996, Núcleo Santa Fé, the first overseas nucleo of the UDV was inaugurated in the city of Santa Fe, in the state of New Mexico, USA. As of July 11th, 2016, the total amount of associates in the União do Vegetal was 18,940, spread throughout the General Headquarters, 172 nucleos, and 20 authorized distributions of Vegetal in 26 Brazilian states and the capital of the country, Brasilia, DF. It is also present in seven countries: United States, Spain, Switzerland, Holland, Italy, Australia, and Peru. Watch below the documentary about the União do Vegetal aired on the series “Images of Faith” on TV Brasil. The video shows the religious ritual of the UDV and shows directors and associates of the center.